reignoferror is the beginning of one of my email addresses. Used reignoferror00 for the address to this blog because I had used it before for a user name when reignoferror was taken. 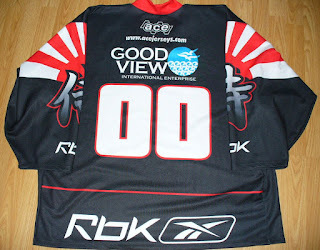 I have a few hockey jerseys with 00. So here is the first pair of them. 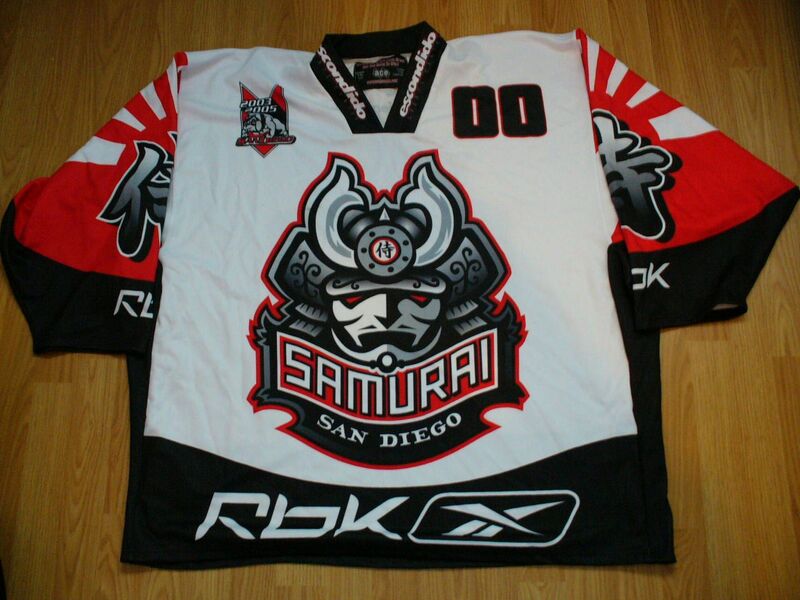 San Diego Samurai were a roller hockey team. Saw a pic online and got in touch with the guy in charge of the team. 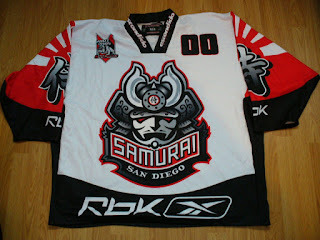 They had changed names by then and had no problem with me using their template at Acejerseys. 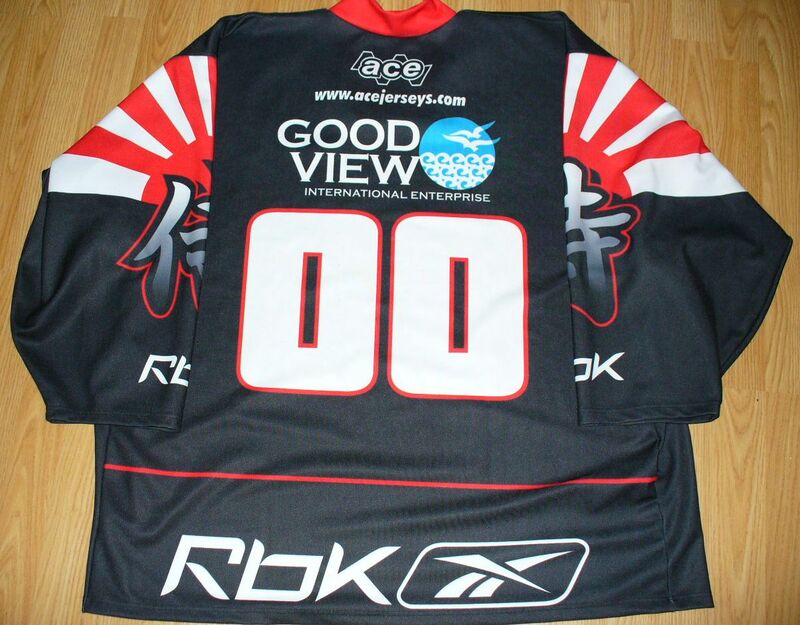 Acejerseys made up a pair of goalie jerseys for me with '00' as the number. 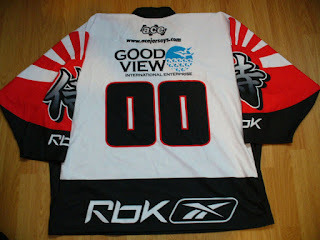 Both jerseys are fully sublimated. Probably my favourite jerseys to wear the rare time I play in goal. That's all for now. Have to get something to eat and get ready to leave for hockey. Nice. 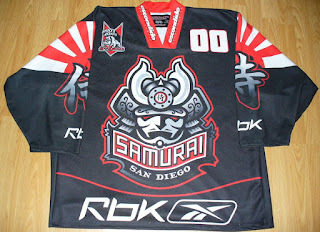 I'd love to have one of these jerseys. 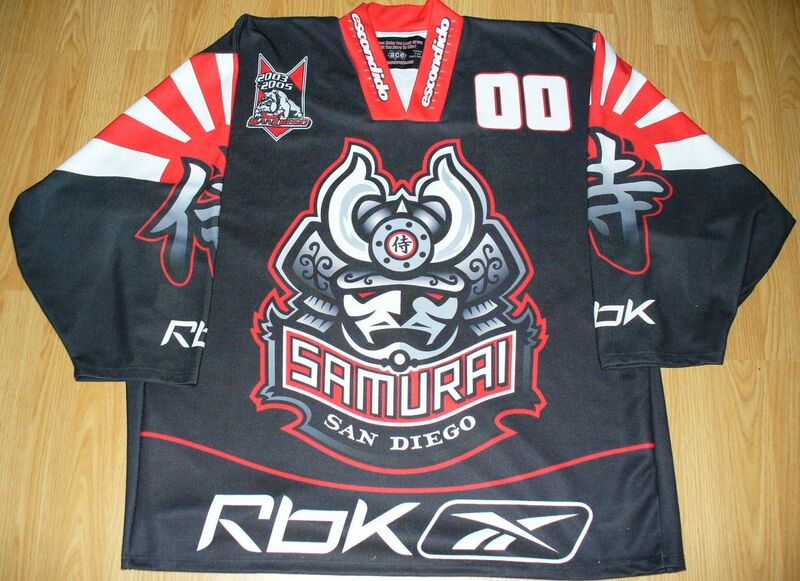 Not sure if that's possible, but they're nice jerseys.